Hall of the Mountain King: Review: Jackson Taylor and the Sinners, "Cantina del Diablo"
Review: Jackson Taylor and the Sinners, "Cantina del Diablo"
If there’s any artist that could get away with releasing a mariachi record, it’s Jackson Taylor. Good thing, too, because that’s the influence all over his latest release Cantina del Diablo. Technically, this isn’t a “new” album. Cantina del Diablo grew out of his Dos Sinners acoustic tour, and it includes eight songs from Jackson Taylor’s back catalog done mostly acoustic. In some cases, the songs are greatly transformed from their original versions, while others follow closer to the original, just perhaps a bit softer or with a bit of mariachi-style flair added in. First single “Maria,” with its aye-aye-aye-aye chorus, seems — pardon the bad pun — tailor-made for this collection. Throw in some heavy Spanish horns and a trilling shout or two, and it transforms quite well into a mariachi tune. Stylistically, it’s a bit different than what we’ve heard from Taylor before but, thematically, it’s right in his wheelhouse — a hard-driving, hard-drinking, cautionary tale about a cheating woman and what that brings. Though Jackson Taylor can certainly write those thoughtful and sincere songs, as we’ll see elsewhere on this record, those rowdy party tunes are his bread and butter. “Maria” is the first of three on the record. It’s joined by an acoustic version of “Blue Agave” that follows pretty true to the original melody, but with a few Spanish bells and whistles thrown in, and, of course, his signature song “Cocaine,” this version subtitled “(Deliverance Mix).” It’s a turbo-charged, foot-stomping update of the tune. It’s fun, but I think I’ll stick with the original for most of my listening. The other five tracks on Cantina del Diablo seem to have been chosen to prove that Taylor isn’t just the guy who sings about bad relationships, getting stoned and having a good time. Though, technically, I guess those themes are present in most of the songs, just not in the rowdy, in-your-face way they are in the other tunes. 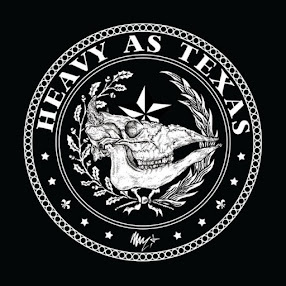 The album opens with an update of “Gypsies and Drifters,” a chugging tune that owes a great deal to artists like Billy Joe Shaver and Waylon Jennings. Shaver even gets a shout out in the song. It’s part celebration, part lament and a full-on tribute to the great songwriters that have influenced Jackson Taylor over the years. It brings in the first of the Spanish horns and gets things kicked off in a great way. The absolute strongest performance on the album, though, comes on “Old Lone Star.” Taylor’s acoustic guitar and voice is joined by a perfectly mournful fiddle in one of the most straight-forward country tracks on the record. The song finds Jackson Taylor singing sincerely about his love affair with music and the ups and downs that it brings. “If I Could Have it My Way” and “Easter Last Year” are love songs of the more standard kind. The first is the story of love lost and mourned, while the second, which closes the album, is a more hopeful number that looks at the strange twists and turns that love can sometimes take and the paths that it leads us down. The collection is rounded out with another road song, “Easy Lovin’ Stranger,” which plays pretty close to the original, if a bit quieter with the electric guitars replaced with acoustics and the percussion stripped down to the bare minimum. 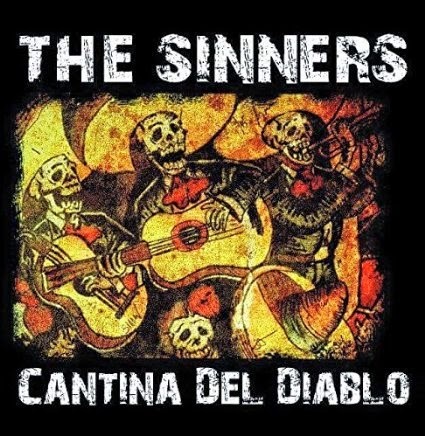 While Cantina del Diablo doesn’t offer any truly new music from Jackson Taylor and the Sinners, it does put a different side of the hell-raising frontman in the spotlight. While the mariachi versions of his rowdier songs are fun, it’s when all of that gets stripped back to not much more than Taylor and his guitar that this collection shines. Don’t get me wrong, I still want Taylor singing about tequila, cocaine and wild women over some rocking guitars. That is, after all, his stock-in-trade. But Cantina gives us a chance to share a bit of a more intimate moment with Jackson Taylor and reminds us that underneath the fun-loving, boozy persona we see most of the time, there’s a damned good songwriter.